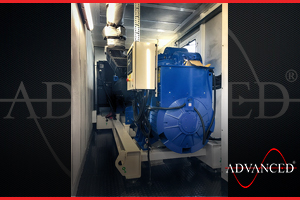 Another ADVANCED power box from stock - is fitted out with the clients generator and despatched direct to site. 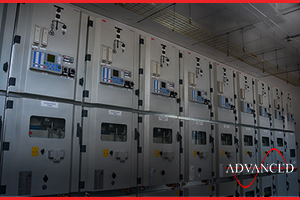 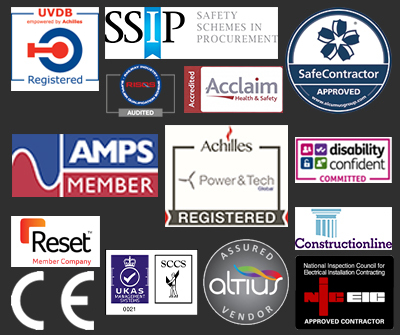 More and more companies choose ADVANCED to protect their business against the onset of winter power cuts. 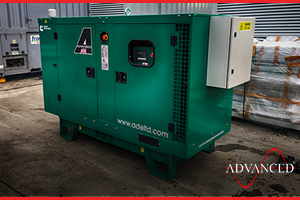 This 110 kVA Perkins units it on its way to be installed at a precisssion engineering company near Devon. 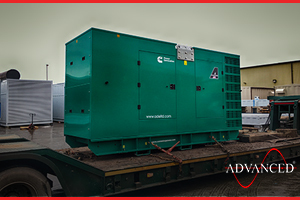 This Cummins 330 KVA Enclosed Diesel Generator is being collected by the client, the generator will run a new stone crusher plant near Lincoln. 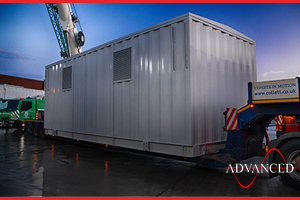 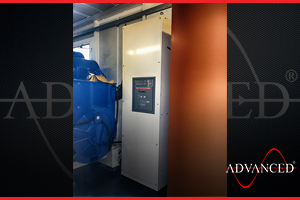 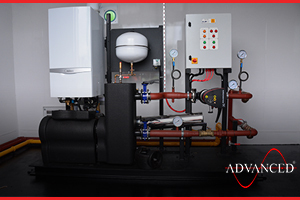 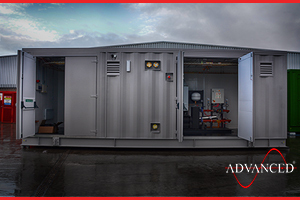 This ADVANCED designed & built modular building encloses a water boiler and pump system for use with multiple Gas generators. 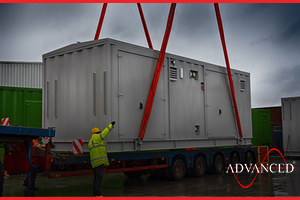 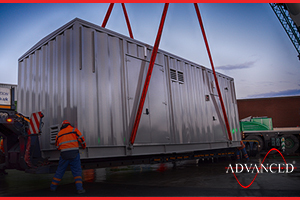 This ADVANCED designed & built Modular Switchgear Enclosure is now loaded and on its way to a gas generator site in the UK. .
Another company sick of power cuts and losing trade – yes it's winter but people still do go to garden centres. 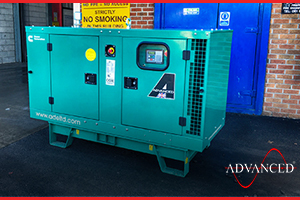 This Cummins 90 kVA Diesel Generator will be used as standby at a popular Garden Centre near Spalding. 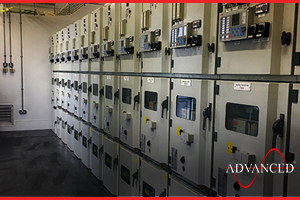 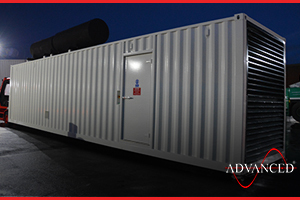 An engineering company near Manchester chose ADVANCED to protect it against power cuts and loss of production time. 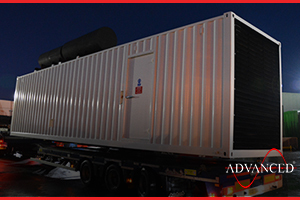 In the past two months, they have suffered several power cuts costing them tens of thousands of pounds.. 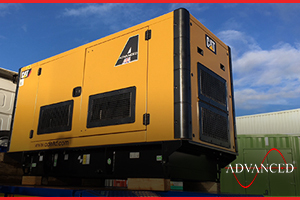 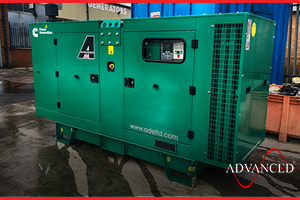 This Cummins 22 kVA silent diesel generator set will supply back-up power to a real estate investment company offices near Holmfirth. 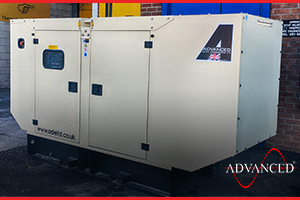 This 110 kVA Caterpillar Diesel Generator will provide site power to cabins on a construction site near Uxbridge for the next two years..